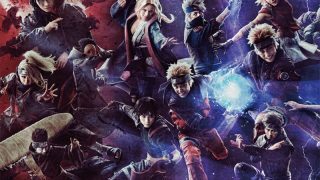 Check out this epic new video which is a fantastically made Naruto Live Action Movie. 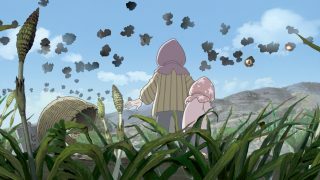 Entitled Naruto Shippuden: Dreamers Fight (Part One), it is incredible and corny at the same time. The fight scenes are AWESOME. Remember to switch on your speakers and listen to the wonderfully done soundtrack! Read the synopsis below! Naruto becomes the acknowledged village hero he’s always sought out to be after the Pain saga. Seeing Naruto grow steps closer to his dream, Rock Lee decides he, too, must continue to grow and push his training even harder. Feeling unfulfilled in his regimen, Lee decides to challenge Naruto to a no holds barred duel in hopes to reignite his passion to become the best ninja he can be. Naruto accepts the challenge from his close friend, and with this, the fight is set! Will Naruto’s constant growth and Nine-Tailed Fox spirit overwhelm the hardworking, hand-to-hand fighter, or will Lee, again, push his body to the limits to become the more powerful opponent? By the way, you may want to compare this with the trailer of the “OFFICIAL” Naruto Live Action Movie made in Japan below. Let us know what you think, which one is better? “Naruto Shippuden: Dreamers Fight” is brought to you by Thousand Pounds Action Company. NextWatch & WIN with Winter Sonata on ANIMAX!